It’s been a few weeks since I’ve played my records, so I’m excited to be on the decks at Underground this Friday. I have no idea what I’ll play. It might be something from this stack. I’ve been wanting to play Adam and the Ants lately, but I haven’t gotten around to it yet. This Mortal Coil’s cover of “16 Days/Gathering Dust” did pretty well when I played it back in December, so I might give that another spin. 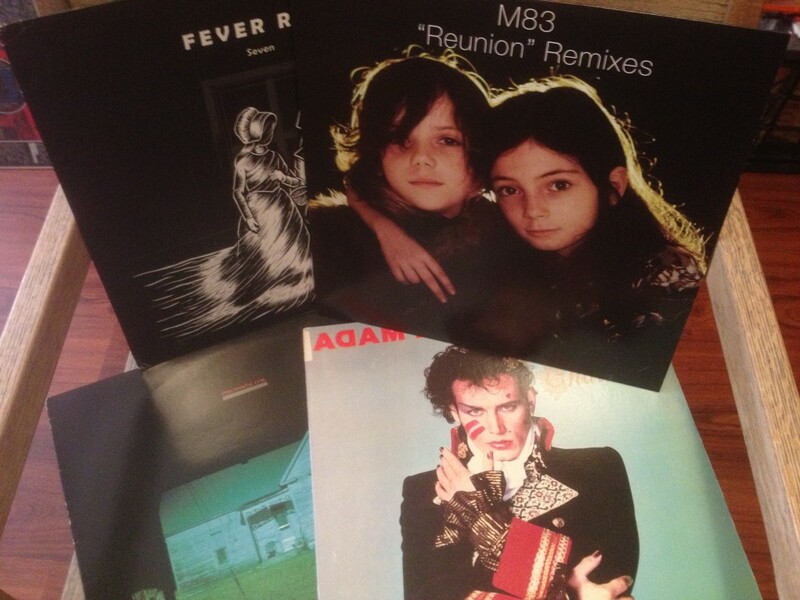 Out of all the “Reunion” remixes, I’m smitten with Mylo’s take on the M83 track. Maybe will hear that too. As for Fever Ray, I’m into the CSS remix of “Seven” that’s on this 12″ single. Maybe I’ll play that too. Who knows? Just make sure you’re there. If you’re on Facebook, RSVP for free entry before 10 p.m./$5 entry after 10 p.m. (good for you and one guest only). Also, if you want to celebrate your birthday party at Underground, email clubundergroundla@gmail.com for details.